By Errol Sammut. Donations go to National Autism Association. Minimum donation is $2. Any amount above $2 is tax-deductible. 100% of project revenue goes to National Autism Association. Errol Sammut will be notified of your name and donation amount. Burton’s Song is for Autism. 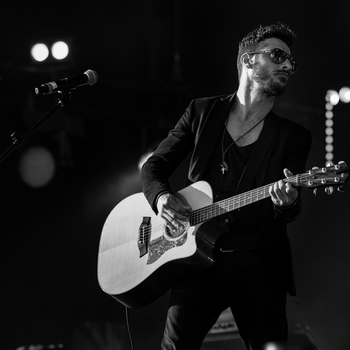 Written and performed by Errol Sammut, award-winning writer and front man of top Malta band Airport Impressions, “Burton’s Song” comes from a deeply personal place. Errol stepped out of the confines of Airport Impressions to write this song about his nephew, Burton, who has Asperger’s syndrome. A song for charity has no genre boundaries and Errol is proud to be giving 100% of digital download proceeds from “Burton’s Song” to Autism charities. Errol invites you to share this captivating new single with all your listeners and sincerely hopes that you will use the song to help advance the cause of Autism Awareness.